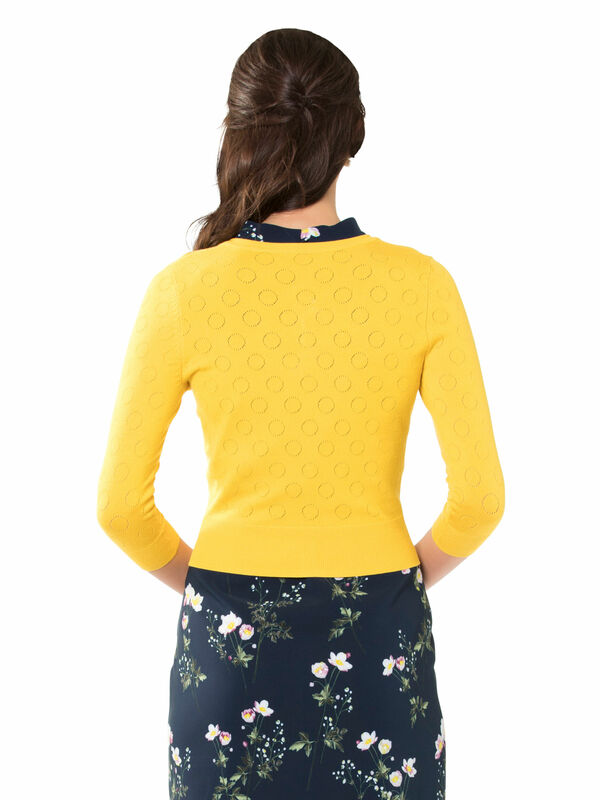 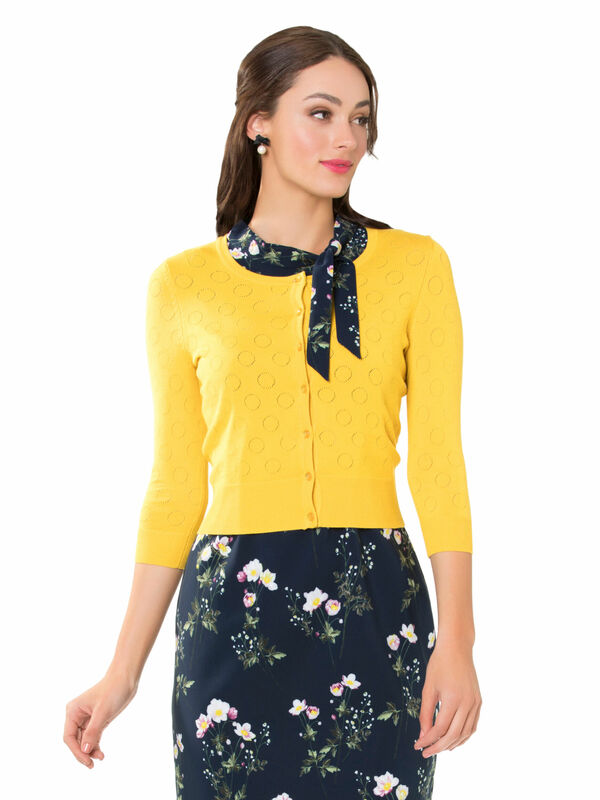 Martinella Cardi https://www.review-australia.com/asia/martinella-cardi-yellow/RE19KW021.REYEL056.html A bright and beautiful go-to for dressing through the seasons, the Martinella Cardi is a cosy drop of sunshine. 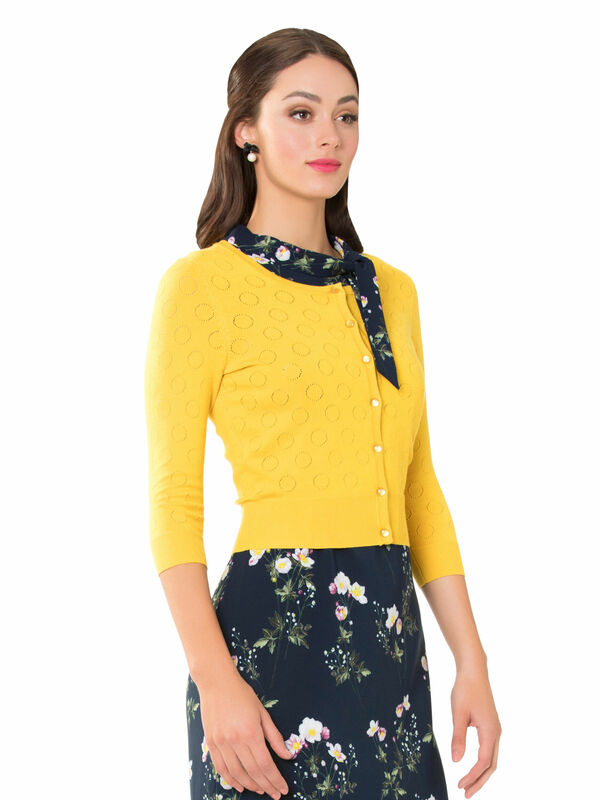 The button down knit is a regular fit with a light circle stitch effect throughout. 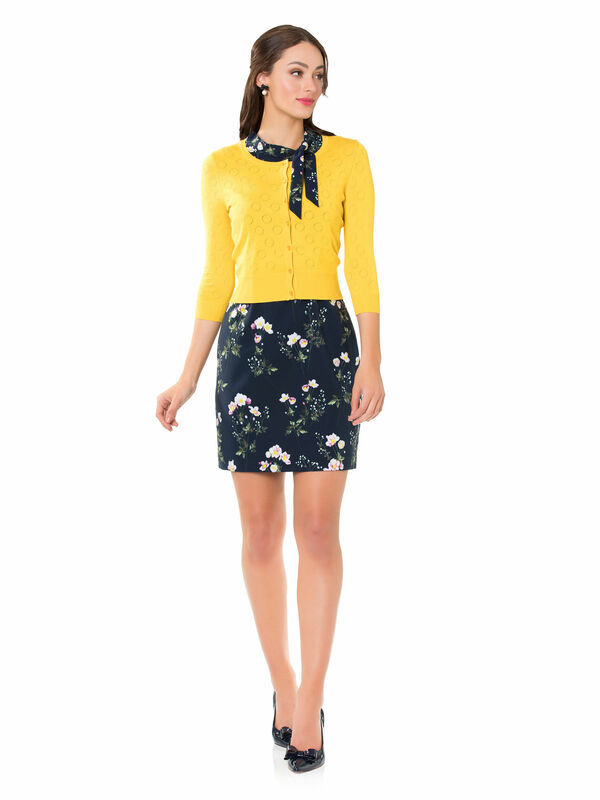 It has ribbed trims and a cropped finish.